As Bernard Baruch famously said around the turn of the 20th century: "Nobody ever lost money taking a profit." If you are like most investors, you probably have the majority of your assets invested in the stock market. The equity market has been riding high for several years now and your investment returns likely show impressive profits. Congratulations. Now, it's time to listen to Mr. Baruch and take some profits on a portion of that massive equity run-up. The tide is turning and cracks are emerging in the stock market bull cycle. Many Blanchard clients are cashing out a portion of those equity profits and shifting those profits into tangible assets including the rare coin market. Rare coin values are on fire right now. Since mid-June, the $20 Saint Gaudens No Motto MS64 Certified surged an impressive 8.75% jump from mid-June. History has shown that diversifying 30 to 40% of your tangible assets allocation to rare coins has produced the highest long-term investment returns. Rare coins show a faster and more significant price appreciation when gold bullion is rising, due to the rarity factor. Are you interested in rare coins, but not sure how to get started? Or maybe you already have an investment in numismatics. No matter whether you are just getting started or a seasoned expert, it is always smart to consider the components of your investing strategy. 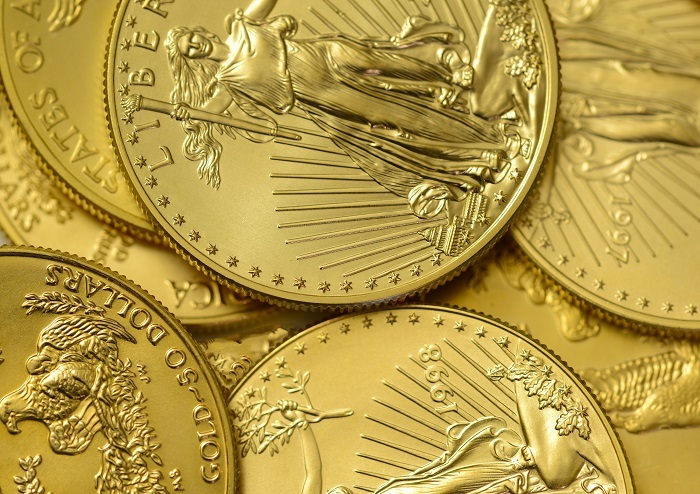 Here are ideas for a Model Rare Coin Portfolio, focusing on U.S. gold coins. These sets can be used as a starting point. Your Blanchard portfolio manager can personalize a plan specifically for you, based on your financial goals and risk tolerance. If you already own these magnificent coins, set your sights even higher. Read about a 14-piece set here. Beyond there, aim for the 34-piece gold set. This incredible collection contains all gold coins from the U.S. Mint that were intended for commerce and put into circulation. A complete sample of America’s coin history, the 34-piece set showcases how the coins evolved from 1795 to 1933. Gold prices are rising and stock prices are falling. There's never been a better time to take profits in stocks (to make sure you don't lose money, like Mr. Baruch said). Investing those equity profits can keep your assets growing as volatility and cycle turns begin to impact the broader stock market.